Step 1. When the STB is on, switch off from the power-source. Step 2. Switch on the STB directly from power-source. Step 3. Press “back” button 4 times from remote when “please wait initializing” message comes to the screen. Step 4. Immediately, press 2485 from remote and software will start downloading. Step 3. Press “back” button 2 times from remote when “please wait initializing” message comes to the screen. Step 4. 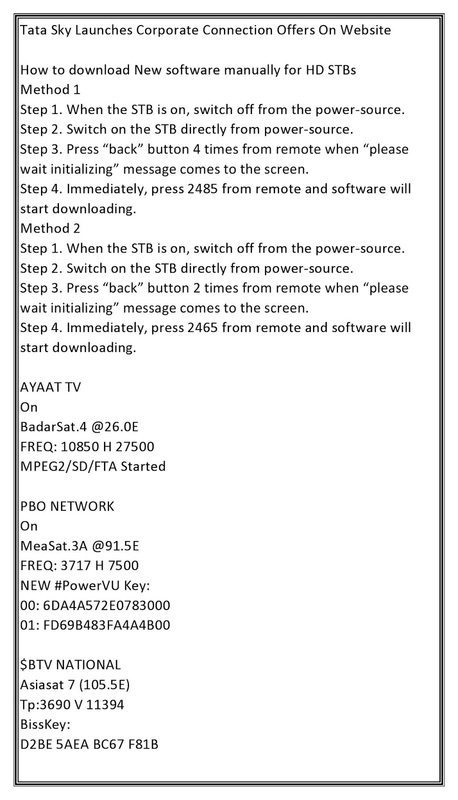 Immediately, press 2465 from remote and software will start downloading.